Hey everyone! 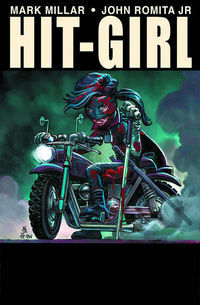 We’re coming at you with comic book reviews of Hit-Girl #1, Batman The Dark Knight #10, the Game of Thrones HC Vol. 1, and the Dragon Age II: Flemeth Dragon Statue that just arrived this week. Check out the video, below. SPOILER ALERT! We try not to go into too much detail in our reviews, but occasionally a spoiler slips through! We’ve made it simple to share this video on Facebook and other social media outlets with the social networking buttons near the title. If you wouldn’t mind doing us a solid and sharing this video with your friends, we’d be eternally grateful. What should we review next week? Post your comments below and we’ll see what we can do!